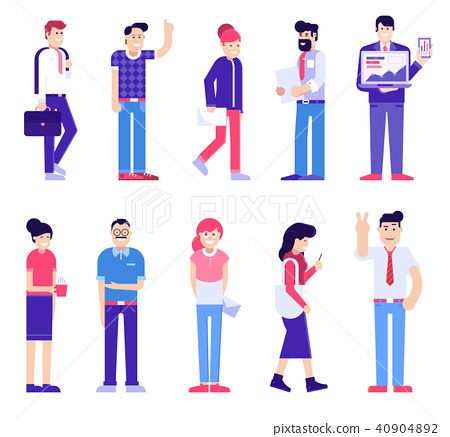 Office people set of male and female in different poses. Modern society with group of working people. Man and woman characters in the action. Businessman, manager, programmer, secretary and designer.